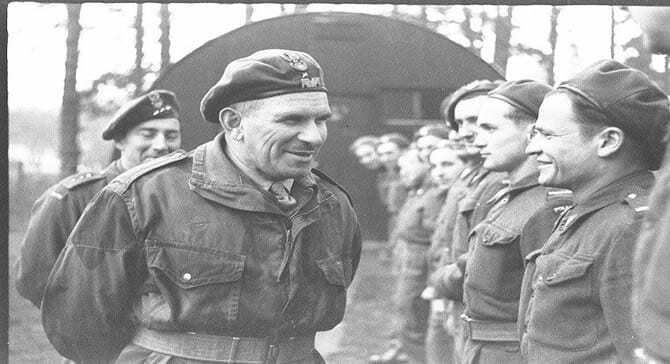 Over 5500 troops (made up of Poles, members of the Norwegian Independent Parachute Company, French, Dutch, Belgian, Czech and British troops) went through training at Largo House in Upper Largo, Fife. Only 2613 of them belonged to the 1st Independent Polish Parachute Brigade (1 Samodzielna Brygada Spadochronowa). Where Did The Polish Parachutists Stay? Soldiers were housed in tents set in the park near Largo House. It was not until 1943 that the British allowed barracks (Nissen Huts) instead of tents, to which the Poles moved. Due to the large number of men stationed at Largo house, some stayed in the local community in Leven, Largo, Leslie and the East Neuk villages. There were Nissen huts to the east and also rear of Largo House where a fair number of them stayed. One of these Nissen huts at the rear was a kitchen for the troops. Officers were billeted (assigned temporary accomodation) with families in the villages (predominantly Elie and also parts of Leven) whilst the men were billeted in large houses such as Beach Hotel, Marine Hotel, Queens Hotel, Golf Hotel, Earlshall, The Marn and Earlsferry House. We have seen accounts of the men even staying in Leslie, Fife.